We looked at the top 10 Beard Trimmers and dug through the reviews from 110 of the most popular review sites including Male Sense Pro, Consumer Search, Consumer Reports, ratingle, Get A Razor, Instant Grooming and more. The result is a ranking of the best Beard Trimmers. Our experts reviewed the top 10 Beard Trimmers and also dug through the reviews from 110 of the most popular review sites including Male Sense Pro, Consumer Search, Consumer Reports, ratingle, Get A Razor, Instant Grooming and more. The result is a ranking of the best of the best Beard Trimmers. WAHL Stainless Steel Lithium Ion Rechargeable Hair Clipper's patented blades are sharp enough to cut through even the thickest hair growth. If your battery runs out, just one minute of charge will you enough juice for a fast shave — a plus for those who spend a lot of time on the road. Another benefit of this trimmer is that if the battery reaches a certain level, an LED light alerts you so that you can charge it. DWYM Beauty and Personal Care Experts plus New York Times Wirecutter, Male Sense Pro, Best Reviews Guide, Beard Trim & Groom, Instant Grooming, Major Beard. Along with user reviews from Amazon, Best Buy and Walmart.
" The motor and blade are powerful and sharp enough to approximate a shave or to cut through thick, fully-grown beards with ease, but it’s also slim enough for grooming and precision detailing." "Full-size shaving head attachment not included." The unique angled blades on the Panasonic Beard Trimmer are perfect for trimming facial hair. The grip resists slipping and remains comfortable throughout your shave while a built-in water drain makes it easy to clean. You can also choose from 19 different settings using a dial. DWYM Beauty and Personal Care Experts plus BestReviews, Balding Beards, Instant Grooming, Mustache Trimmer, My Best Shaver and 1 more. Along with user reviews from Amazon, Walmart, Target and Best Buy.
" Thoughtful engineering: rubberized,non slip body and built in water drain." "Not as easy to grip for men with larger hands"
Shaped like a peanut, the Wahl Professional Peanut Clipper has a body built to fit into the palm of your hand. This is a corded model, so it's ideal for those who don't want to deal with charging a battery. The lightweight design adds to its shape for comfort you won't find in other trimmers. DWYM Beauty and Personal Care Experts plus New York Times Wirecutter, Best Reviews Guide, Instant Grooming and 1 more. Along with user reviews from Amazon.
" Weighing 4 ounces and measuring only 4 inches in length, the Peanut is easy to hold and maneuver around your face, even with a 7-foot-long cord attached to it." "Wahl Peanut trimmer was not designed to perform simultaneous hair cutting due to heating of the motor. As such, you should put it on rest on hearing loud vibrations and noise." Although the Philips Norelco Multi Groomer boasts a powerful motor, you won't know it by its quiet operation. The lightweight design makes it easy to hold, and you'll get a full 35 minutes of use after a 10-hour charge. One of the best things about this trimmer, though, is that it comes with a nose and ear trimmer so that you can get a full grooming experience. DWYM Beauty and Personal Care Experts plus New York Times Wirecutter, 5 Product Reviews, Top Ten Review Pro, Instant Grooming, Beard Trim & Groom, The Shaver Zone. Along with user reviews from Amazon and Best Buy.
" We liked the MG3750’s size and shape, as it’s the slimmest, most lightweight trimmer we tested in our most recent round of tests (by a narrow margin)." "It has a plastic body, which makes it kind of cheap despite its quality services"
We identified the majority of the beard trimmers available to purchase. 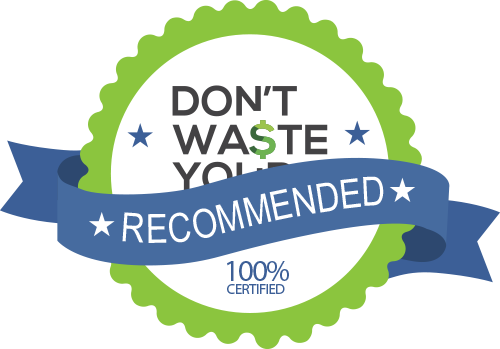 Reviews from our DWYM category experts and analysis of some of the most respected sources including: Male Sense Pro, Consumer Search, Consumer Reports, ratingle, Get A Razor. The motor and blade are powerful and sharp enough to approximate a shave or to cut through thick, fully-grown beards with ease, but it’s also slim enough for grooming and precision detailing. Perhaps the coolest feature of the battery is its charging time. If you’re in a hurry and your battery is depleted it only takes roughly one minute to get enough juice for a quick shave. Solidly constructed and it doesn’t feel cheap or plastic. This machine is impressive because it has an inbuilt precision trimmer which grooms to perfect without changing a setting. Patented Wahl blades, made of precision ground carbon steel. Full-size shaving head attachment not included. Some users had a difficulty getting this groomer to turn on and off while others experienced problems simply with shutting off the groomer. Weighing 4 ounces and measuring only 4 inches in length, the Peanut is easy to hold and maneuver around your face, even with a 7-foot-long cord attached to it. The body of the device has a peanut like drop shaped shape, due to which it ideally sits in the palm of your hand and does not slip out even with prolonged use. The trimmer weighs less and with a short length making it more comfortable to hold. With only 4 ounces of weight and a 4 inches length, you can use it for longer hours. A small number of combs in the kit. Wahl Peanut trimmer was not designed to perform simultaneous hair cutting due to heating of the motor. As such, you should put it on rest on hearing loud vibrations and noise. Keeping your beard neat and tidy can be tough work. But with the right tool, you’ll be able to quickly get that look you want. Today’s beard trimmers go beyond facial hair. Many come with attachments that help you trim your hair and mustache, as well as tools that let you control the length of the hair you’re trimming. But beard trimmers can have a variety of features that make them stand out. One consideration is the motor, which determines how much power your razor will have. You’ll also be able to use some beard trimmers in the shower, cutting down on the time it will take to get ready each morning. As you look at the features, decide which ones matter most to you and choose accordingly. In addition to trimming length attachments, some beard trimmers provide different trimming heads. You may also get a freebie, like a nose trimmer, along with your order, which will provide an all-in-one solution. Lastly, accessories like carrying cases can be very useful in keeping things together, so consider that a perk while you’re shopping. You’ll also notice that some beard trimmers are cordless, while others are corded. On the surface, the cordless models seem much more convenient since you won’t be limited to a certain distance from a power plug. It’s important to keep in mind, though, that battery-powered trimmers need charging, and you’ll only be able to use your trimmer for a limited time before putting it back on the charger. If you do choose a battery-operated model, weigh the benefits of one with a warning light that lets you know when the battery is nearing depletion. This will keep you from having to deal with that sudden battery drain when you most need your trimmer to work. If you plan to only use your trimmer for a few minutes each time, this may not be as important. But if you’re on the road and away from your charger, you may find yourself pushing your trimmer’s battery to its limits. Facial hair fashions come and go over the years, but beards seem to always stick around. Today’s hipster beards replaced the shorter, less obvious beards of the years that preceded them, but facial hair has long been part of society in one way or another. One piece of news that had the bearded community outraged suggested that men with facial hair were more prone to bacteria. The news mobilized facial hair enthusiasts so much, they set out to prove it wrong. That prompted a newer, much more comprehensive study that found that clean-shaven men were actually more susceptible to the bacteria in the air all around them. Few things can be as frustrating as trying to trim your beard, only to find your razor isn’t making any difference at all. True cutting power is a combination of a sharp blade and a strong motor, which can help with even the thickest hair growth. The WAHL Stainless Steel Lithium Ion Groomer uses patented Wahl blades, which are made from precision-ground carbon steel, backed by a motor strong enough to power through. The Panasonic Beard Trimmer uses fast-action blades that are situated at the perfect angle for facial hair. Noise can be important, especially if you’re trimming early in the morning when everyone else is asleep. The Philips Norelco Multi Groomer has a powerful motor but still maintains a low noise level. Grip becomes increasingly important while you work on cleaning up your facial hair. The Panasonic Beard Trimmer has a non-slip body with a rubber grip that keeps you comfortable while also giving you the control you need. Weight is also an important factor. The WAHL Professional Peanut Clipper and Philips Norelco Multi Groomer are both lightweight, which makes a big difference if it’s taking a while. The WAHL Professional Peanut Clipper is shaped like a peanut, giving it a build that keeps it perfectly nestled in the palm of your hand. Cleaning is always a little extra work with a beard trimmer. The Panasonic Beard Trimmer has a built-in water drain. Just open it and let the water flow through. Cordless trimmers have their benefits, but having a cord can come in handy, as well. You won’t have to worry about your battery running out before you finish. The WAHL Professional Peanut Clipper has a seven-foot cord attached. So unless you plan to wander around while trimming, this could be a handy feature to have. For cordless trimmers, you’ll need to pay close attention to charging time and battery life. The WAHL Stainless Steel Lithium Ion Groomer can charge in just one minute if all you need is a quick shave. The Panasonic Beard Trimmer takes a while to charge, but you’ll get 50 minutes of use after a full charge. The Philips Norelco Multi Groomer will need to charge at least overnight before you can use it, getting only 35 minutes of use after a 10-hour charge. One downside to a battery-powered device is the fact that without warning, you’ll lose juice just when you need it. The WAHL Stainless Steel Lithium Ion Groomer has a smart LED that blinks as your battery runs down, but this isn’t always dependable. Attachments are an important part of a beard trimmer. The WAHL Stainless Steel Lithium Ion Groomer comes with four different attachment heads and 12 attachment guards. It doesn’t, however, have a full-size shaving head — which means if you want a close shave, you may have to invest in one. The Philips Norelco Multi Groomer comes with a full suite of accessories, including a nose and ear hair trimmer, trimming and stubble guards, an accessory storage bag and a cleaning brush. If you haven’t bought a new beard trimmer in a while, you may not have one with a dial that makes it easy to change trim length. The Panasonic Beard Trimmer’s dial will let you choose between 19 different settings. With most trimmers, you’ll merely need to clean them out and put them back on the charger. However, the Panasonic Beard Trimmer will require occasional maintenance using the oil included in the package. You’ll get hair pulling if you go too long without doing this. The Philips Norelco Multi Groomer, on the other hand, doesn’t require oil. For the Beard Trimmer category, we analyzed 110 of the most popular reviews including reviews from Male Sense Pro, Consumer Search, Consumer Reports, ratingle, Get A Razor, Instant Grooming and more. The result is a ranking of the best Beard Trimmers.